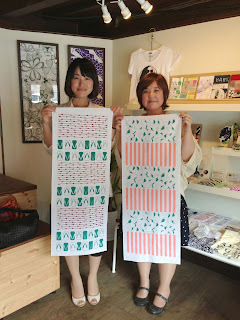 These are made by a local stationery shop! Origami, note-paper, envelopes ... all made from cute gujo dancing patterns! 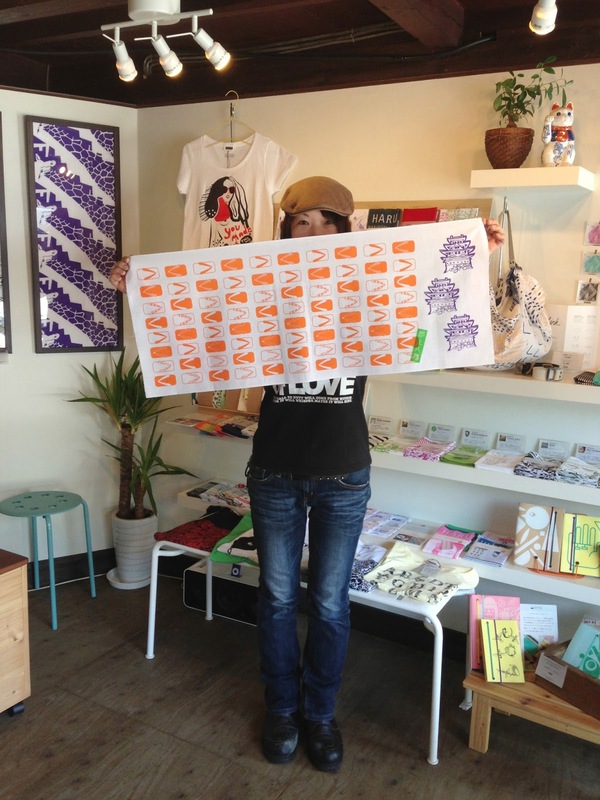 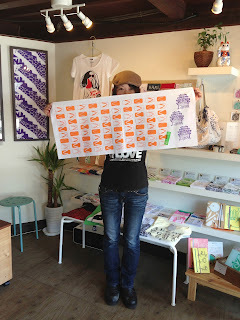 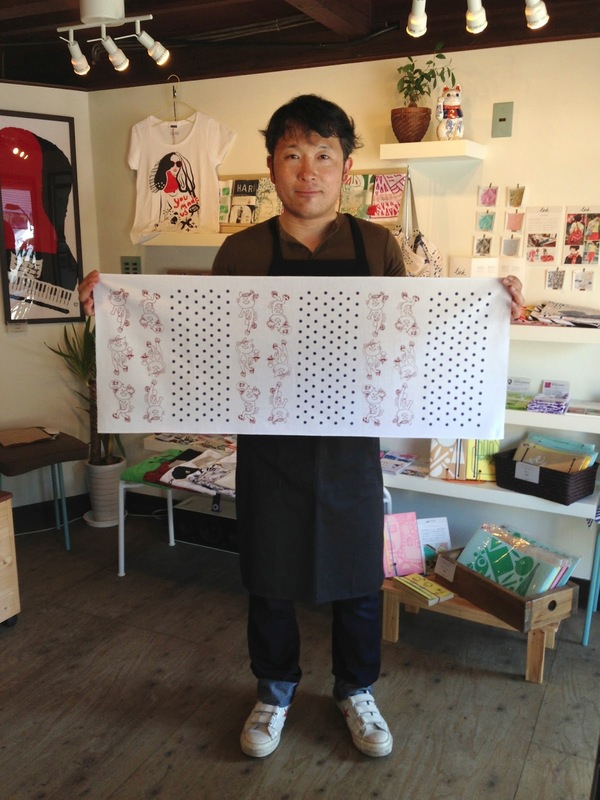 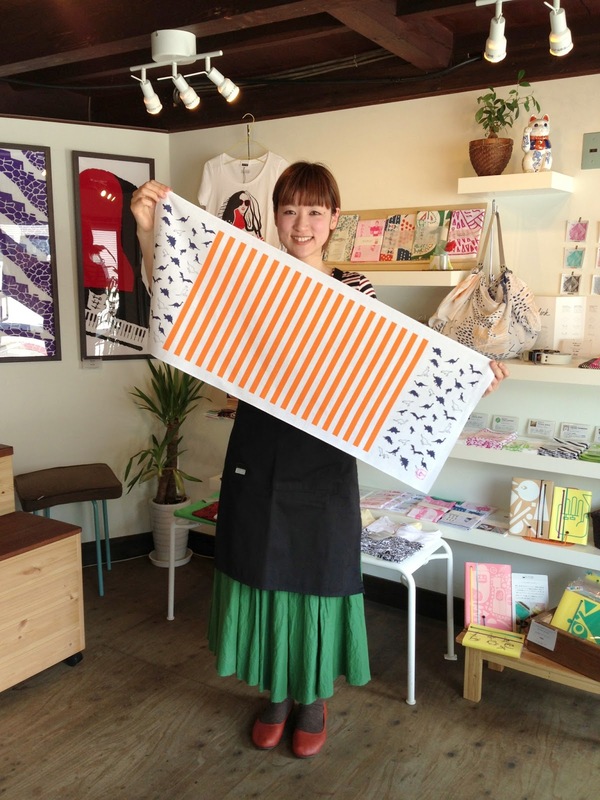 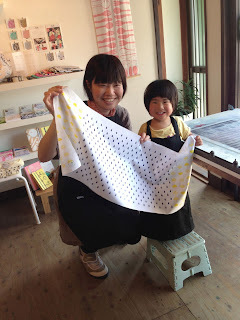 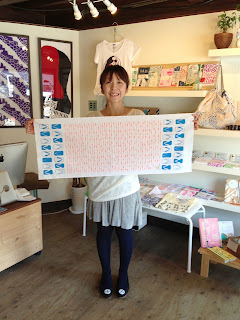 Hideki Doi "Tenugui+" is now back in stock!! 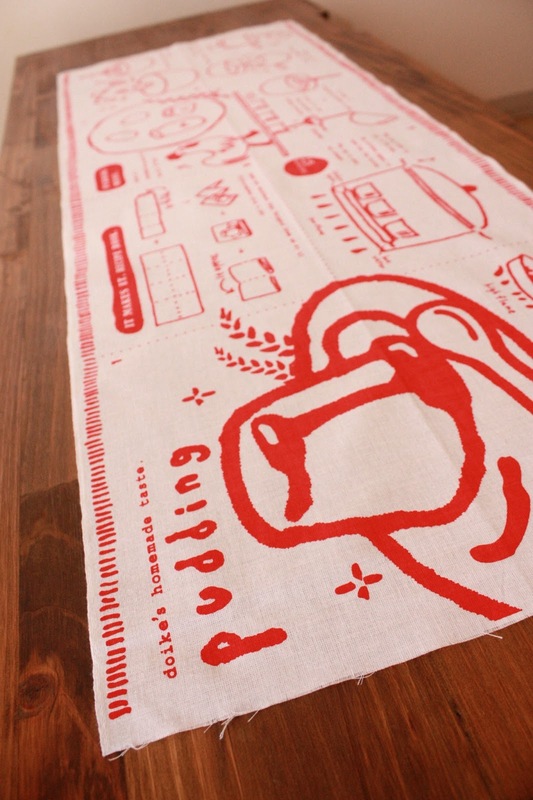 It can also be a pudding recipe book when you fold it accordung to the directions.! 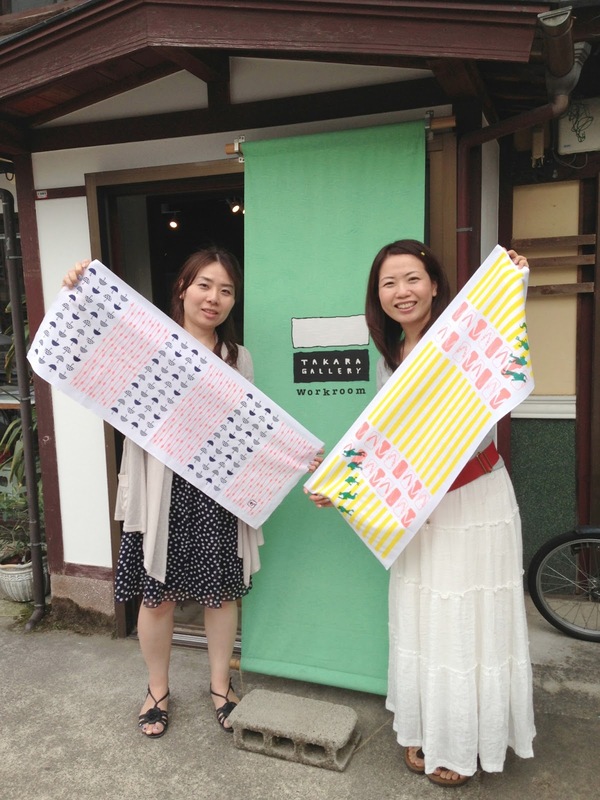 "Tenugui and Furin ten" is being held in Tokyo at Gallery Setagaya 233, until June 30. 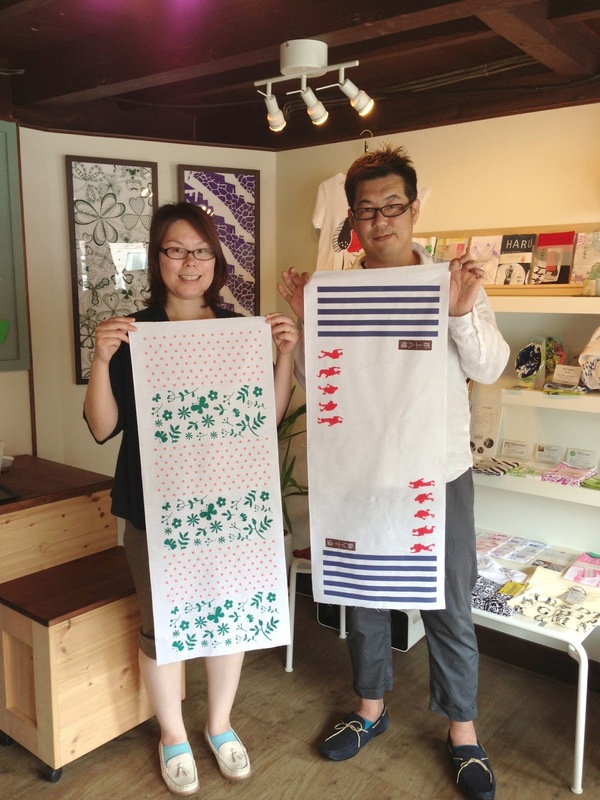 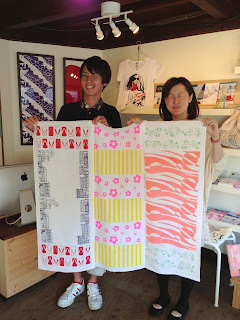 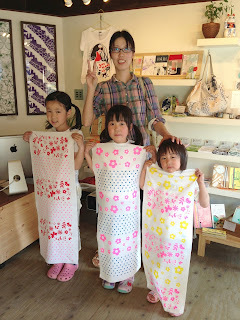 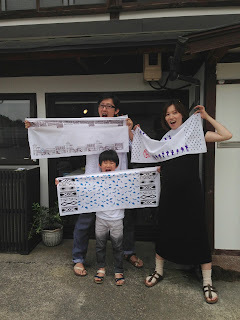 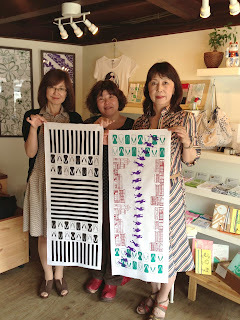 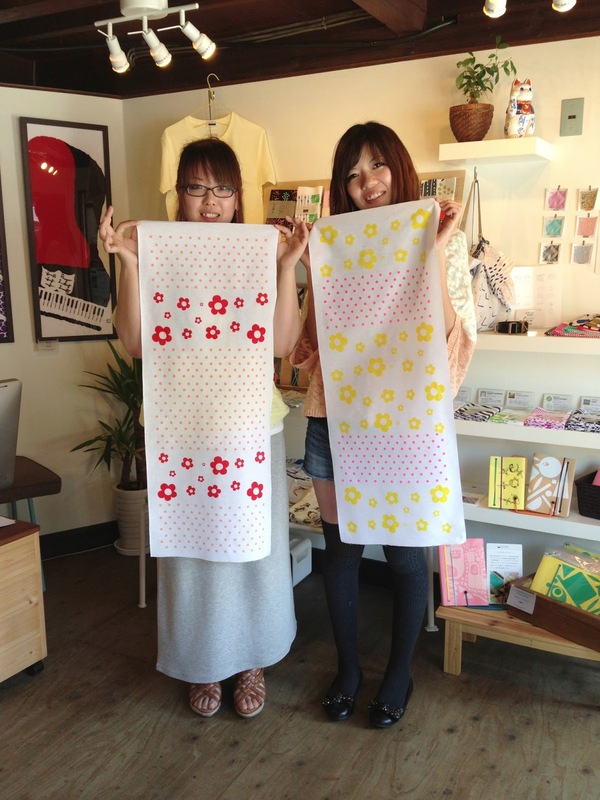 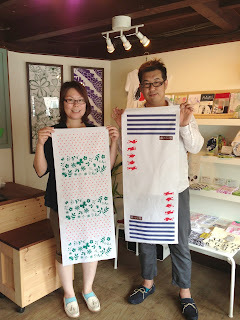 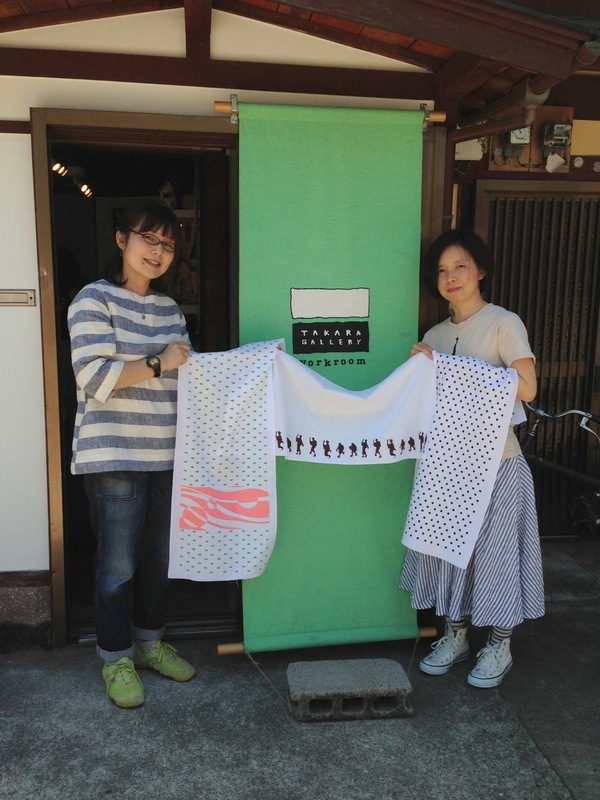 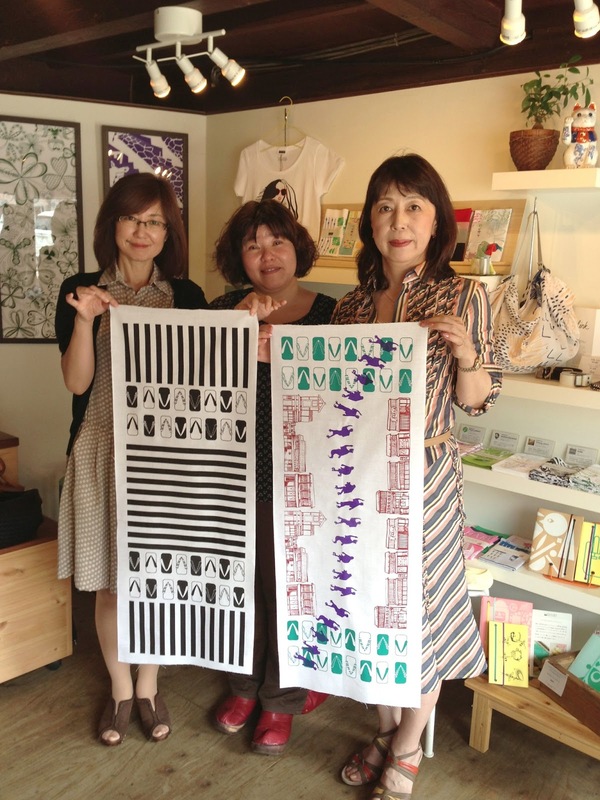 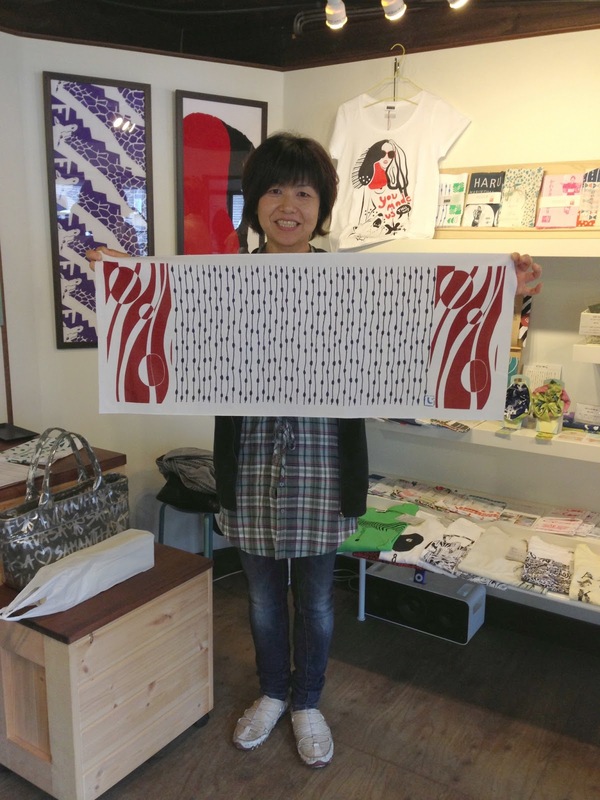 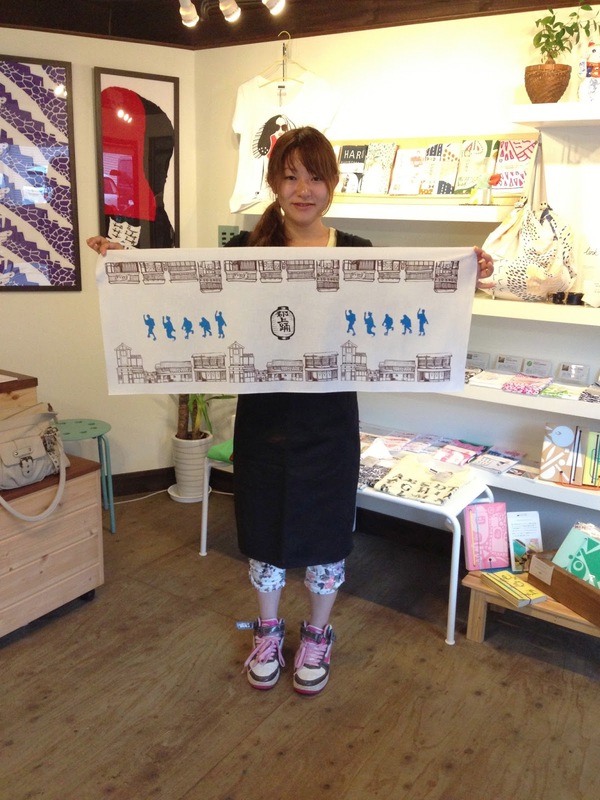 We join this event with our Art tenugui series! 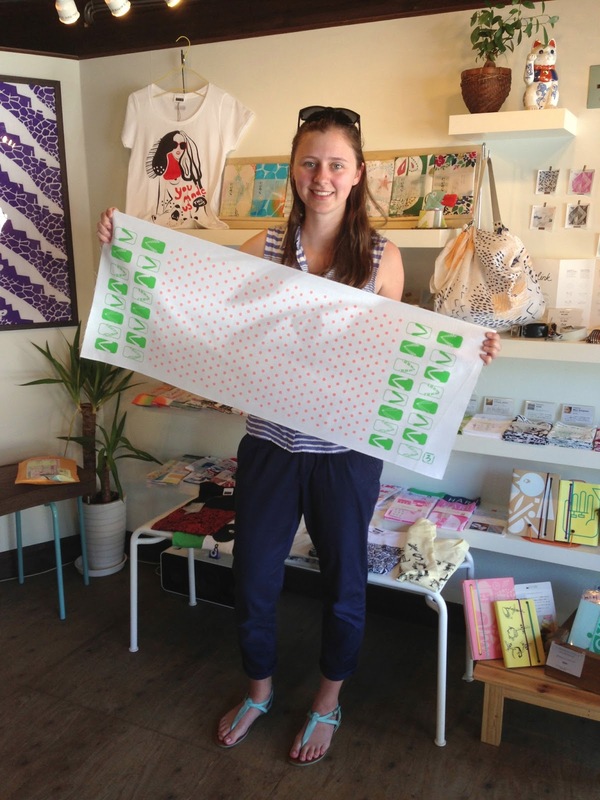 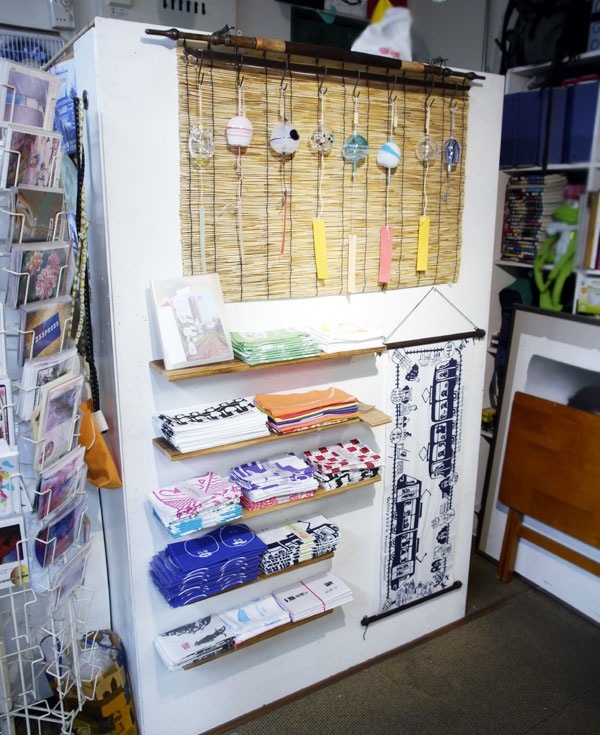 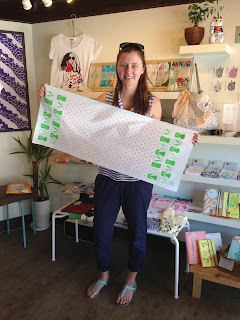 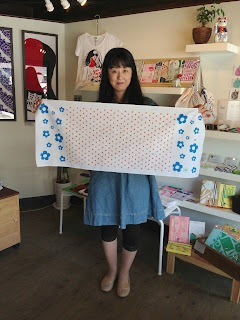 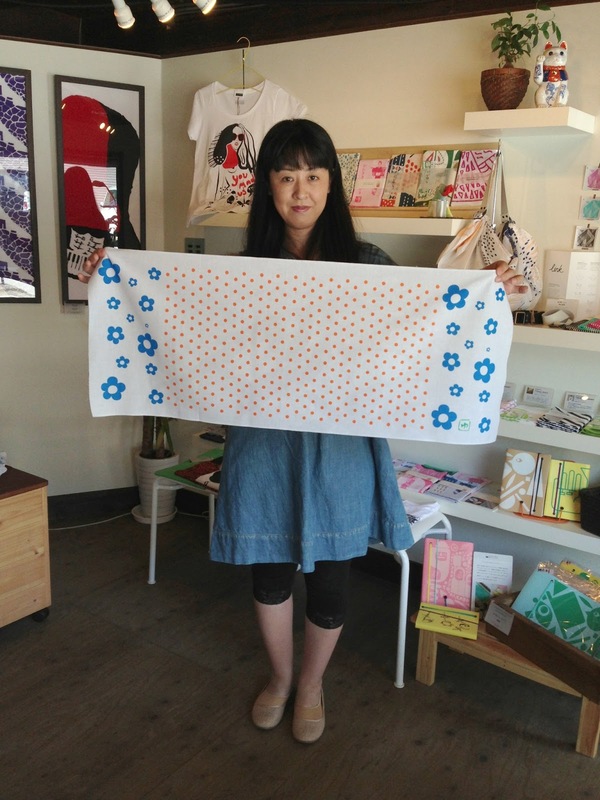 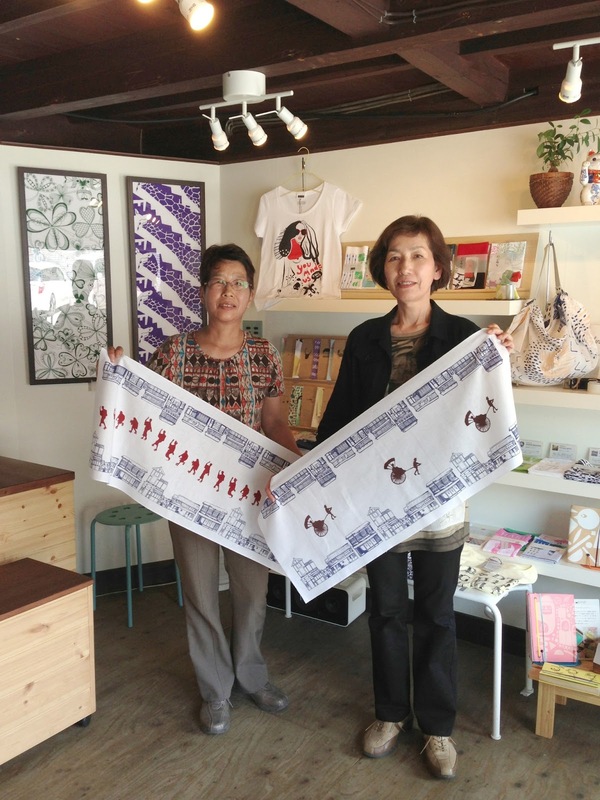 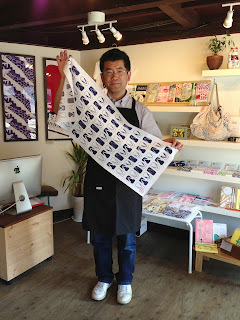 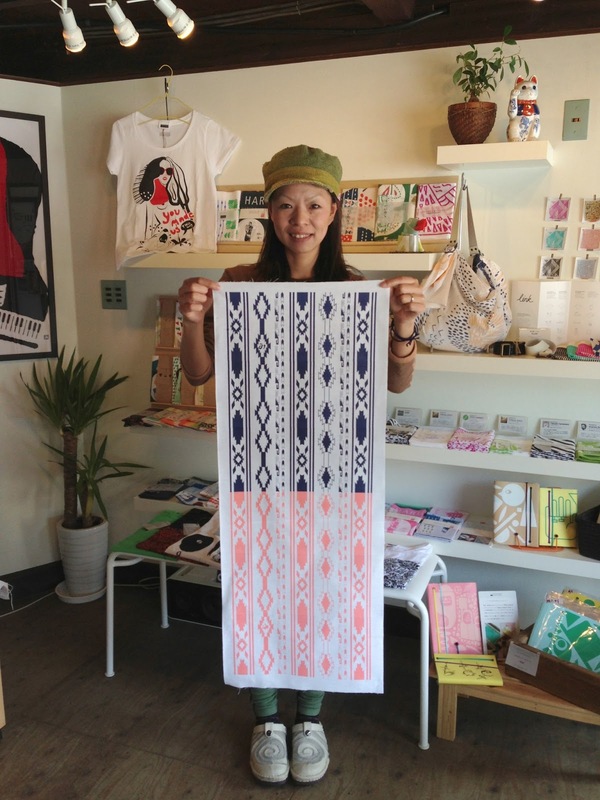 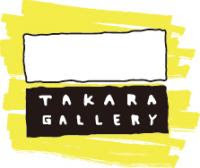 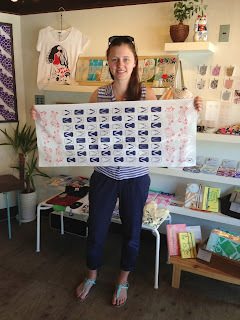 New Art Tenugui is now available at Takara Gallery workroom! 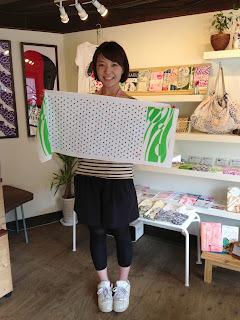 We'll sell on online soon! 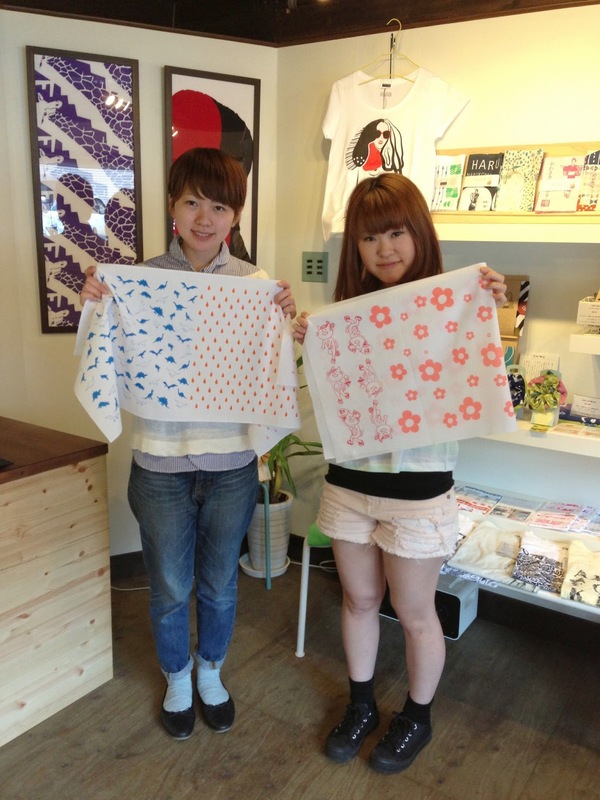 Where is a four-leaf clover?